Kashmir, among the most thriving and naturally blissful destinations of the entire India is arguably a perfect place to go for holidays. 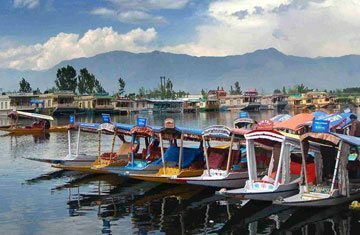 Many people traveling solo, as a couple, friend's group and family opt for Srinagar tour packages and enjoy the exquisite natural beauty this city has to offer. No matter whether you are looking for honeymoon packages or family holiday packages, the city will give you an amazing experience through its fabulous natural beauty and cultural diversity. Go for a holiday to Srinagar and you can witness the bewitching Dal Lake which is probably the most famous lake in the entire India. Being the largest city of the Jammu and Kashmir State, Srinagar is boasted with an incredible variety of cultures, natural landscapes, thriving heritage sites, religious places and much more.